Enable Software is a high-end software development and support company specialising in the creation of leading-edge training solutions, real-time signal processing technologies, communications monitoring and logging software and data validation solutions. The Sentinel Operator Log is a Communications Monitoring and Security Logging System tailored for efficient information gathering. Sentinel controls receiver devices, records demodulated audio and allows the user to log and perform queries on information. Sentinel allows operators to intercept and analyse communications events by monitoring specific frequencies, stepping through preset frequencies, or sweeping a frequency range to find activity. Online training is a cost-effective and convenient way of ensuring your staff keep up-to-date with training to meet individual and organisational business needs. 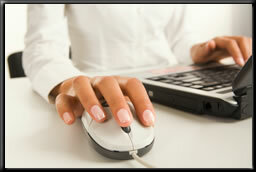 Paragon is a server-based online training system that lets your staff train effectively and efficiently. Access to Paragon will provide time and resource benefits, ultimately reducing organisational cost. Sonic is brand new, Windows-based high-precision belt tension meter designed to measure static tension in any belt. Sonic puts all the tools you need for adjusting and tensioning belts at your fingerips. Sonic lets you adjust and correctly pre-tension belts before use. It allows you to monitor and maintain the highest level of performance in your machinery, and ensure your belts are properly tensioned to increase service life and improve reliability. Lighthouse is a high-end simulation system which allows modelling of changing objects over time. Lighthouse is tailored for a battlefield situation. It allows users to set of a range of parameters to accurately model and analyse performance in a range of scenarios.